I paid Eyal Maron a visit, had a late lunch with my kids and tasted a few Portugese wines. It was really an excuse to buy some wines, but it was such a lovely afternoon that even a flat tire didn't damper my mood. I'm going through my new stash now, and I really love their style. I owe Eyal for introducing me to the region and I think the wines deserve an annual review. 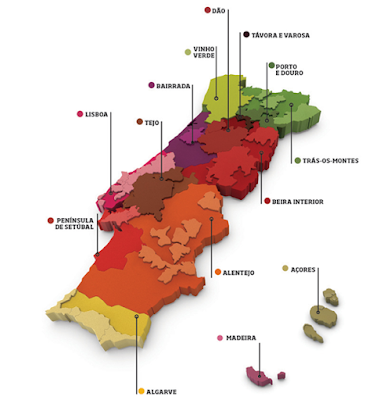 Portugal has a number of interesting indigenous grapes that are full of punch and personality. The bottom line is, Luis Pato rules! But I wouldn't kick Álvaro Castro out of my bed. The Quinta da Pellada would have been a fitting finale for this month long love affair. Except I ordered a couple of wines at a Saturday brunch before this post 'went to press'.